This post is followed by part 2 and part 3. —The Evening Post, 26th April 1933. After the recent post regarding the search for Esmond Kime, I’ve decided that the New Zealand National Library’s Papers Past service is a treasure trove of interesting history. Another historic event that I’ve been keen to discover more about is what’s come to be known as The Sutch Search, which occurred in the Tararuas during the latter part of April in 1933. I’m posting this in three parts over a few days (see also part 2 and part 3), because there are so many newspaper articles that it’s a lot to take in. Part one covers the search effort, part two covers the return of the party, and part three covers the media storm and arguments that followed about responsibilities of those in the wilderness. I’m unsure why it’s popularly called The Sutch Search. Bill Sutch was only one of four missing people and he wasn’t considered to be leading the trip. It may be because he became high profile decades later in 1974 when he was accused, unsuccessfully and with no presented evidence, of trying to pass secrets to the Soviet Union. A more complete biography of Dr Sutch, although one which doesn’t even mention his influence in tramping, can be found here. Forty years prior to 1974, Bill Sutch was a young tramper exploring the mostly-unexplored Tararua Range. When he and three other people went missing, they became the subject of one of the most significant land search and rescue operations in New Zealand’s history. LOST IN THE TARARUAS.—Looking across the Tararua Range, the area in which four trampers, including a lady, are reported to be lost. The photograph shows the Mitre-Holdsworth ridge of the Tararua Range, looking NNW from Mount Holdsworth. Arete Peak (4935ft) and Mount Dundas (4944 ft) are seen in the extreme distance, with The Mitre (5154 ft) on the right and Mount McGregor (5080 ft) and Angle Knob on left. On Saturday 15th April 1933, four young trampers—Mr Eric Hill, Miss Morva Williams, Mr Bert O’Keefe and Dr. Bill Sutch—left Te Matawai Hut near Levin, and set out to follow a route to Mountain House, below Mt. Holdsworth. At a time when the northern Tararuas were only beginning to be explored, this route had been completed several times in summer, often in a single day. They wanted to see if it would be possible in winter. Nearly a week after the party had left Te Matawai Hut, the group was noticed as missing and a search and rescue operation was mounted, initially by the Tararua Tramping Club which had past experience with mounting searches. With little information about where the party could be, however, the search effort needed to cover substantial amounts of the range, much of which was unexplored. Within days, the search had grown into the largest land search and rescue operation that New Zealand had ever seen, with roughly 200 people taking part. The Evening Post was just one of many newspapers that picked up the story, with increasing enthusiasm as time went on. Monetary donations were flowing both to the tramping clubs and to the newspaper, to support the search effort. The press made a point of publishing accounts of many parts of the effort, both monetary and voluntary, and often with far more detail than would be common today. The Wellington Radio Emergency Corps provided transmitters for communication with established base camps within the range. The government allowed suitably qualified public servants to participate in search parties and other capacities without having to sacrifice annual leave. Volunteer resources on a scale that had not been managed previously had to be coordinated, and with little experience in an operation of this scale, the search encountered ongoing logistical problems. Search parties being sent in for days at a time to investigate possible signs of missing people found themselves discovering other search parties. The New Zealand Police, officially in charge of the search, were revealed to be under-equipped and unprepared, and took a back seat to voluntary organisations, notably tramping clubs. As a consequence, The Sutch Search is often credited as being one of the key events that led to the structuring of New Zealand’s predominantly volunteer-powered Land Search and Rescue Organisation, including by LandSAR itself. As with most significant history in the Tararuas, the story of The Sutch Search is well told by Chris Maclean in his Tararua: The Story of a Mountain Range history. Maclean’s telling includes additional interviews. These articles which follow, from The Evening Post newspaper of the day, offer another perspective. Some anxiety is felt for four trampers who set out from Levin to cross the Tararuas to Carterton and who have not been reported since they left Te Matawai Hut, about five hours from Levin, on their way to the Mount Holdsworth Mountain House on Saturday. The party consists of Miss M. Williams, of Wanganui, Mr. F. Hill and Dr. W. B. Sutch, of Palmerston North, and Mr. A. H. O’Keefe, of Wellington. Search parties are being arranged to go out from Palmerston North and Wellington this afternoon and evening. The party was to have left Te Matawai Hut early on Saturday morning for the Mount Holdsworth Mountain House. Since then nothing has been heard of them. A party of members of the Tararua Tramping Club was at the Mount Holdsworth Mountain House on Saturday night, arid at 10 o’clock on Sunday morning, when they left, the trampers from Levin had not shown up. It was the intention of the missing party to leave some supplies at the Mountain House and return for them on Sunday, but it is not known whether they reached Mount Holdsworth at all. From Te Matawai Hut to the Mountain House is a big day’s journey, and the country is very rugged, but officials of the Tararua Tramping Club stress that at the moment there is no need for undue alarm as to the safety of the trampers, for it is possible that they may have been held up by bad weather or flooded rivers. They also point to the somewhat reassuring fact that the four trampers are missing together, which is not considered as serious as if one of the party had gone astray. The club is making arrangements for search parties to go out this evening if nothing is heard from the missing trampers. A party is leaving Palmerston North this afternoon for the Mitre Flats, and at 6 o’clock tonight a party from the Tararua Tramping Club is leaving Wellington for Mount Holdsworth Mountain House. If no news is received by tomorrow another party will set out from Palmerston North for Te Matawai Hut. Two members of the Wellington Radio Emergency Corps, equipped with, a portable transmitter and receiver, are going with the Tararua Tramping Club party tonight, and contact will be made with a number of Wellington members, including Mr. W. G. Turnbull, the officer in charge of the corps, who will be on duty at his home at 112 Tinakori Road, all tonight. If necessary, an intermediate station will also be set up near Kaitoke. The base station’s call sign is ZL2EW. The members of the missing party are stated to be all fairly experienced trampers, but the country in which it is thought they may be in difficulties is very rugged and exposed, and it will be necessary for the search parties to cover a very wide area. It is recalled that Mr. O’Keefe had a trying ordeal a few weeks ago when he became separated from his companions, who comprised practically the same party as the present one, during a mist which came up suddenly on Mount Bannister. He eventually reached safety on the Masterton side after several days and nights in the open. The weather has been very unfavourable. No news has been received of the three men and one woman who are missing in the Tararuas. Parties from Palmerston North, Wellington, and Masterton are searching the ranges, and an endeavour is being made to establish radio communication with the Wellington party, which includes Messrs. F. A. McNeil and W. G. Mace, members of the Tararua Tramping Club and the Wellington Emergency Radio Corps. The Wellington party left last evening to search from the Wairarapa side, and their radio transmissions were heard at Lower Hutt last night. The signals were too weak to be distinguishable, however, and this morning another set was sent out to the summit of the Rimutakas to relay messages to Wellington, where Mr. W. G. Turnbull and Mrs. Mace, wife of Mr. W.. G. Mace, are on duty at their homes. The missing trampers —Miss M. Williams, of Wauganui; Dr. W. B. Sutch, of Palmerston North; Mr. E. Hill, of Aokautere; and Mr. A. H. O’Keefe, of Wellington—who set out from Levin on Saturday to cross the ranges, were last seen on Sunday when they left another party which they met on the Levin side of the ranges. Mr. A. B. Perry, a member of the Tararua Tramping Club, who was a member of the party that last saw the missing trampers, left with the Wellington search party last evening. The Wellington party consists of nine members of the Tararua Tramping Club, and they intended to make the Mount Holdsworth mountain house their starting point. They are carrying food sufficient to last four or five days. Immediately on receipt of the news in Masterton of the missing trampers, the Wairarapa Tramping Club took steps to organise search parties to assist in the quest. Three — possibly four — parties are setting out today. A party of searchers from Manawatu is already at Mitre flats, and a Wairarapa Tramping Club party will leave for Ruamahanga basin, via Patara and will work high country around Dundas and back to Mitre flats. Another party will continue up the Waingawa River and a third will go up Brocketts track. These parties will work in co-operation with the Palmerston North searchers, who are working towards Mitre Peak from the Manawatu side. The weather on the ranges in the past week has been very wild, particularly in the middle of the week, when, heavy rain fell, and also snow. The rivers are considerably swollen, and it is possible that the missing party is held up on this account. There is still no word of the four trampers who have been missing in the Tararuas since last Saturday. The weather conditions are bad, a storm is sweeping the district, and last evening the anxiety was greatly increased. The search is being intensified on both sides of the ranges. Another party of searchers left at midday. Anxiety concerning the four trampers—Miss Williams, Dr. Sutch, and Messrs. O’Keefe and Hill—who have been missing on the Tararuas since last Saturday week, has steadily increased as news has come in of the appalling weather conditions that have been raging on the mountains for some days, and particularly during the weekend. According to members of the Palmerston North Tramping Club who returned by the Limited last night, all the elements seemed to have been let loose during Saturday and Sunday, making a search practically impossible. At first it was thought the missing trampers were well equipped with food, but it now transpires that they dumped some of their supplies at Te Matawai hut before leaving on the Saturday morning. It seems, therefore, that their provisions would be no more than they could conveniently carry. The route between Te Matawai hut and Mount Holdsworth is about twenty-five miles, or fifteen hours’ walking. None of the four had been over the route before, although Hill, who was regarded as the leader, had been part of the way from both sides, leaving a gap of two or three hours’ walking in between that he had not covered previously. In any case the proposed journey is considered by experienced trampers to be far too heavy an undertaking for one day. The party had about six hours’ favourable going after leaving Te Matawai before the mist descended, and then it would be an easy matter to lose location. If they carried on along the ridge of the range they would meet with innumerable spurs which all lead into little traversed country, and on descending these spurs they would come face to face with flooded streams and steep gorges. The hope of those out searching is that they have taken shelter on the ridge awaiting an improvement in the weather. There are now ten well-equipped searchers working from Te Matawai hut on the Manawatu side, and it is considered that at present no more are needed. They are equipped also with a portable radio transmitter and receiver operated by Mr. Gabriel, of Palmerston North, who is keeping this party in touch with operations on the Masterton side, members of the Wellington Radio Emergency Corps having established a station on Mount Holdsworth. Rebuffed by unprecedentedly heavy rainstorms, which were accompanied by onslaughts of sleet and hail, the searchers operating from the Levin side have been unable to make a great deal of headway, according to advice received in Palmerston North late last night. Messrs. Arlidge, Seymour, and Treweek, three Manawatu trampers, who over the weekend have been engaged in relaying extra stores and equipment from the Ohau hut to Te Matawai, stated on their return to Palmerston North that there was no chance of crossing the top of the range until the adverse weather conditions had abated. The rivers in the area were quite unfordable, and one of the deer-stalkers in the vicinity reported sixty hours’ continuous rain. Between the Ohau hut and Te Matawai, the storm was one of the most violent ever experienced. Yesterday a party set out in an attempt to make a crossing towards Girdlestone and Mitre Peak, but owing to ice and sleet they were unable to progress further than Arete when conditions made it impossible to go further. The storm at Te Matawai was one of the most severe known by trampers who frequent the hut, the thunder and lightning being of a most severe nature. Last night there were ten searchers concentrated in the Te Matawai hut, where they were virtually weather-bound. They are now equipped with ample food supplies for several days, and it is intended to make an attempt at a crossing today if the weather conditions make this at all possible. It appears that the possibility of continuing the search is largely dependent on an improvement in the weather conditions. A party of eight Wanganui deerstalkers who returned from the hills yesterday reported that they had seen absolutely no trace of the trampers. They spent about eight days right on top of the range, operating in the head of the Park Valley, at the back of Ohau. It is considered by experienced trampers that every day that elapses makes more slender the hope of finding the missing trampers alive. The prospects of their survival after exposure to the rigorous conditions that have prevailed in the past few days are stated to be poor unless they have been fortunate enough to find some adequate shelter. Meanwhile, the search efforts are being intensified with the realisation that every hour’s delay in their succour counts. Active steps were taken in Masterton during the weekend to organise search parties for the party of four trampers who have been missing in the Tararuas since they left Levin on April 15. The Citizens’ Search Committee, which was set up some years ago to act in similar emergencies, made arrangements for the dispatch of search parties and for the provision of food and equipment. The weather has been particularly bad over the weekend, and searchers from this side of the ranges are handicapped considerably by swollen rivers and bad visibility. The party of Wairarapa Tramping Club members who set out on Saturday in an endeavour to reach the headwaters of the Ruamahanga River, via Putara, at the back of Eketahuna, was blocked by the swollen state of the Mangatainoka and Ruamahunga Rivers and had to abandon the search. The party returned to Masterton last night. Several more search parties, consisting of members of local tramping clubs, will leave Wellington at 6 p.m. today for the Mount Holdsworth and Otaki districts. Two of the trampers who, with Dr. W. B. Sutch and Mr. A. H. O’Keefe, are lost in the Tararua Range. The search for the four missing trampers in the Tararuas is being redoubled. Six parties are now operating on this side of the ranges, at Mount Holdsworth, in the Mangatarera Valley, on the south side of the Waingawa River, at Mitre Flats, at the headwaters of the Waingawa River, and on the Blue Range. Another party left this afternoon to investigate smoke seen on the banks of the Ruamahanga River near Mount Bruce. A permanent base camp is being established at Mitre Flats. The weather shows signs of improvement, the rain having ceased, although it is still cold. The ranges are visible today for the first time for over a week. This should enable more satisfactory work to be accomplished, as hitherto the search operations have been greatly hampered on account of the weather conditions, which were as bad as they could be. Grave fears are entertained as to the fate of the missing party, on account of the wild weather, accompanied by snow and sleet. The party of members of the Tararua Tramping Club that proceeded to the Mount Holdsworth mountains hut on Friday evening, under the leadership of Mr. G. B. Wilson, had a very arduous time. The high country on the ridge between Holdsworth and Mitre Peak was explored as far as the Pinnacles, about half-way to the Mitre, but no trace of the missing party could be found. The conditions were so bad that the searchers had to crawl on their hands and knees and were completely knocked up by the time they regained the mountain house. Throughout they were greatly impeded in their efforts by the bad weather. Another section of the party proceeded to the Totara Flats, on the Waiohine River, and investigated that locality. A relieving party of members of the Tararua Club arrived at the mountain house on Monday evening, allowing the original searchers to return to town. It is understood that the relieving party is to undertake an intensive search of the high-country and also of the Waiohine Valley. Acting on advice from Mr. F. W. Vosseler, of Wellington, the Masterton Committee dispatched a party on Monday afternoon to investigate the Mangatarera Valley, Mr. Rolph being the leader. Two other parties set out on Monday, one under the leadership of, Mr. L. Knight proceeding up the Waingawa River on the southern side, and the other, under Mr. J. Wells, going along the Ruamahanga River, skirting Mount Harris over the Cow Saddle and dropping down to the Waingawa River, where a search will be made of the headwaters. This party is expected to return today. Mr. N. H. McLachlan, of Rangitumau, and his two sons also set out on Monday to search the Blue Rango and adjoining country. Yesterday morning a party of sixteen volunteers left Masterton for the Mitre Flats. with a view to establishing a base camp. Six of this party are to remain at the Flats. Tents, supplies, and other necessaries were conveyed to the site of the base camp, and this will greatly facilitate search operations in that locality. At about noon yesterday telephone advice was received that smoke had been seen near the banks of the Ruamahanga River at Mount Bruce, 17 miles north of Masterton, and two men were immediately dispatched, to be joined by a resident of Mount Bruce, to investigate. The latest advices received last night by the Masterton committee were that Mr. Knight and his party had found it impossible to proceed up the Waingawa via Baldy and had to return to Blake’s Hut at Kaituna. They then set out yesterday morning for the Mitre Flats, and it was Mr. Knight’s intention to push on and camp for the night well up the slopes of Mitre Peak, in readiness to start search operations on the high country this morning. The three men who set out yesterday afternoon to investigate the smoke seen on the banks of the Ruamahanga River failed to return last night. The members of the party are Messrs. G. Wainscott, J. Hosking, and C. Pickering. Although a Mount Bruce farmer reported having seen smoke rising from a spot on the north side of the Ruamahanga River, members of the Manawatu Tramping Club do not regard the sign very hopefully. They point out that to get to Ruamahanga from their starting point, the four missing trampers would have had to pass over country that was unknown to them. While the weather was fine on the low levels yesterday conditions in the ranges were far from satisfactory for the searchers. The Tararuas were clear of mist and fog on Monday morning for the first time for a fortnight, and it was seen that during the weekend a heavy fall of snow had taken place. The higher peaks were clothed in a white mantle, while even down to Waiopehu there was a white sprinkling. Later in the day the mountains were again enshrouded. Mist is the trampers’ worst enemy. It comes suddenly, and individuals can become separated from their party very quickly. Yesterday morning there was a foot of snow around Te Matawai hut, and it continued to snow and rain alternately in the morning, with the result that there was no possibility of the searchers venturing on their quest. It was ascertained that there was three feet of snow on the top. Should conditions be better this morning, a party will leave for Mitre Flats on the Wairarapa side of the range. Two parties left Wellington yesterday, one for Otaki Forks and the other for Mount Holdsworth, on the Wairarapa side. The Wellington party which set out on Thursday night returned yesterday from Mount Holdsworth. There are so many possibilities in regard to the whereabouts of the missing party that anything in the nature of “combing the country” is out of the question. The most that can be done is to investigate a few of the probable directions they may have taken. One suggestion is that they may have got down to the head waters of the Otaki river and may have endeavoured to find their way out; but those who know that route regard it as an impossible one. Opinion generally inclines to their having got over to the Wairarapa side and that there is more likelihood of search there being rewarded. A point that should be emphasised is that it is extremely dangerous for inexperienced men —and especially those without knowledge of the back country —to go into the Tararuas under present conditions. There seems no doubt that everything possible is being done at present by those best fitted to do it. TWO YOUTHS OUT FOR 14 DAYS. Those who recall the experience of the two youths, Diedrieh and Seanlon, six years ago, still think there is hope in the present case. These lads left the Pipe Bridge on Good Friday morning, April 15, 1927, and despite the most intensive search, were missing until Thursday, April 28, when after all hope had been abandoned they came out unassisted. They had got off the route, and when bad weather came, found shelter in a trench and waited for it to moderate, eking out their food supply during the period. The conditions then were very similar to those now being experienced, snow falling on one occasion. 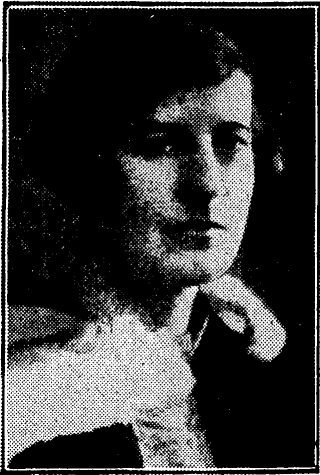 Miss Williams, the lady member, is on the staff of the Wanganui Technical College, where she has been teaching for five years. She has a predilection for tramping, almost amounting to a passion. Last year she tramped alone to Te Matawai in a heavy snowstorm. Her endurance has astonished her companions, particularly when the timber and material for the hut was being transported to the bushline on Pukematawai, in which work she did her full share. Mr. Fred Hill is a farmer at Aokautere, Palmerston North, and is a leading member of the Manawatu Club, who has been tramping for some years, and took a prominent part in the club’s recent activities in the way of track cutting and hut building. Mr. A. H. O’Keefe is a member of the Public Trust Office staff in Wellington. He was missing for several days in February, becoming separated from his companions during a tramp, but eventually finding his own way out down the Ruamahunga River. 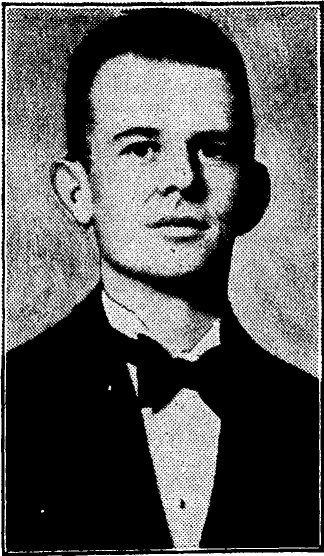 Dr. W. B. Sutch was a master of the Wanganui Technical College for about twelve months, resigning last year to study at the Columbia University, in the United States. Subsequently he toured the world, paying a visit to Russia before returning to the Dominion, just before last Christmas. Until recently he was a member of the Palmerston North Boys’ High School staff. He recently lectured on several occasions in Palmerston North upon his experiences in Russia. The executive of the Tararua Tramping Club is appealing for donations for the purpose of assisting in the search for the missing trampers. About thirty members of the club are taking part in the search, and funds are needed for transport. Any moneys received will be devoted to this special object. The balance of a fund subscribed to previously for a similar purpose is also being utilised to meet the cost of the present search. A radio message was received in Wellington this morning from the transmission station in the ranges reporting that there was a heavy wind blowing on the mountain tops. As soon as the weather clears the Wellington Aero Club’s Waco aeroplane is to be sent out to search the Tararuas from the air. Two pilots and two observers —Messrs. T. Smith and W. Neall—will be taken. It is at present, however, too misty to carry out search in this way, but as soon as conditions improve the aeroplane will leave. All the district will be covered in this manner. Another search party, and possibly two, will be sent out from Wellington this evening. LOOKING ACROSS THE TARARUAS FROM THE PINNACLES. — Carkeek Ridge in the middle distance, with the Waiohine-iti River at the foot of the slope on the left. This photograph gives some indication of the roughness of the country. 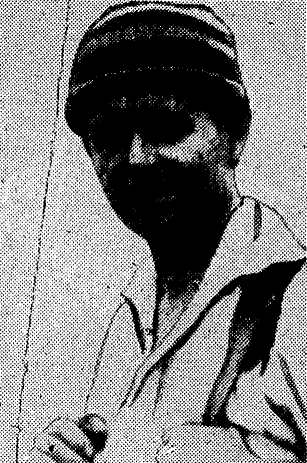 MR. A. H. O’KEEFE, of Wellington, one of four trampers who are lost in the Tararua Range. WHERE THE TRAMPERS ARE LOST.—A map of the Tararua Ranges, showing the country which is at present being searched in an attempt to locate the four missing trampers. 1, Whare on Mr. C. Adkins properly, used as a depot. 2, “Avalanche Clearing,” formed by slips destroying bush on right bank of river, and used as a camping place; a cut was made through the bush some time ago by Adkin’s party leading to the top of Mount Dundas, joining Girdlestone’s route near the timber line. 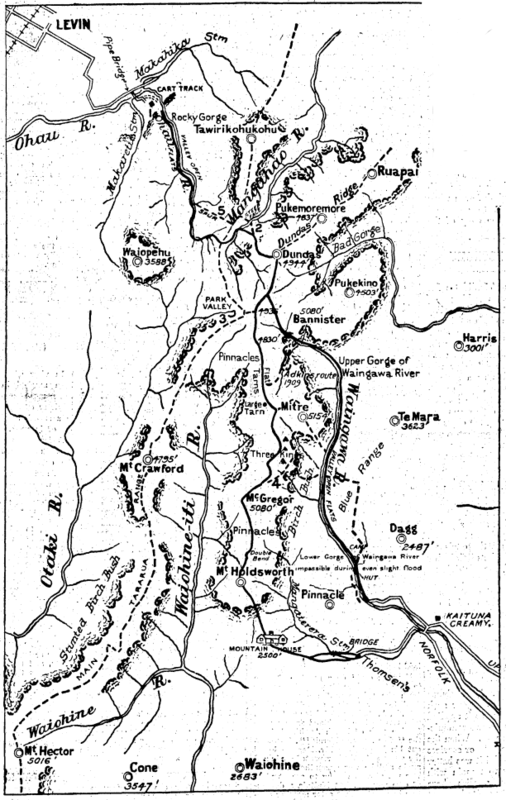 3, “Park Valley,” stated by Mr. Adkin to be a.tributary of the Waiohine-iti, and not the Otaki, as shown in the map. 4, Overgrown track, used only when the Waingawa Gorge is impassable. 5, Adkin’s direct route to Mangahao River. Girdlestone’s track from Levin to Masterton is also shown on the map. The search for the missing trampers continues. The ranges cleared temporarily this morning, enabling aerial observations to be made by a Wairarapa aeroplane, which found conditions exceptionally rough and bumpy. The machine proceeded from the Ruamahanga River headwaters to Mount Holdsworth, but saw no signs except light smoke inland from Greytown to which no importance was attached. A party returned this morning from Ruamahanga after making an unsuccessful effort to locate the smoke seen on the previous day. Another party is setting out for the same locality. It is believed the smoke came from a shooters’ camp, as a shot was heard this morning. Rain has recommenced, and the ranges are again obscured in clouds. All the parties who went out yesterday to search for the missing trampers were driven back by the weather, which became very bad after a promising morning. Heavy and foggy weather, with hail and sleet, was being experienced last evening, according to a radio message from Te Matawai hut. Mr. R. F. Williams, of Whangarei, father of Miss M. Williams, one of the four missing trampers, said his chief anxiety was that an accident had occurred, otherwise there was not much fear of the party losing their way, as all the members were experienced trampers. The Wellington Aero Club’s Waco aeroplane left Rongotai at 1 o’clock this afternoon for the Tararuas. Flight Lieutenant Bolt piloted the machine, and had with him as co-pilot Squadron- Leader Stedman. Two members of the Tararua Tramping Club —Messrs. Gordon Mace and G. B. Wilson, hon. secretary—went as observers. The aeroplane carried food, matches, and fuel to drop to the missing party if they should be seen. This is the first time this week that reasonable visual conditions have prevailed over the ranges. Yesterday there was a heavy mist on the mountain tops which precluded the possibility of sending out the aeroplane, but the weather was much clearer today, and every prospect is held out for a successful venture. False ideas were being created by reports that hope of the party being brought out alive was small. This was not so; there was still every prospect of their being found. Even if their discovery was delayed they could remain alive for a long time yet. Mr. W. H. Turnbull, who is operating the wireless base of the Wellington Radio Emergency Corps at Tinakori Road, stated that communications had temporarily ceased between Wellington and the wireless base at the Mount Holdsworth mountain house. The aerial at the house had come down, but it was expected to replace it this afternoon, and communication would then be resumed. Various wireless stations in the Wairarapa are keeping in close, contact, and bases are established at Te Matawai, on the Levin side of the Tararuas, and in Levin itself. The station at the summit is kept open both day and night. Reports regarding weather conditions in the various localities are communicated by the stations and close contact is thus maintained. Mr. G. B. Wilson, who has been one of the prime movers in the search, has been devoting practically all his time to the organisation of parties. He is at present in charge of the Wellington contingents in place of Mr. T. R. Smith, who has now left for Mount Holdsworth. Mr. Smith and three others left for the ranges today equipped with ice axes and snow glasses. They hope to force a way over the mountain into the Waiohine-iti River. A further party left today for the Totara Flats, and three members of the Tararua Tramping Club will leave tonight for the Otaki headwaters. Following on the appeal published in “The Evening Post” last evening from the Tararua Tramping Club for financial help to assist in the search for the missing trampers, two correspondents have forwarded donations as.follows: — T. E. Corkill, £2 2s; “Skip,” 10s. Two Wairarapa residents eight miles apart observed a light on the Tararua Range last night at 6.30 o’clock, and hopes of locating, the missing trampers were raised. 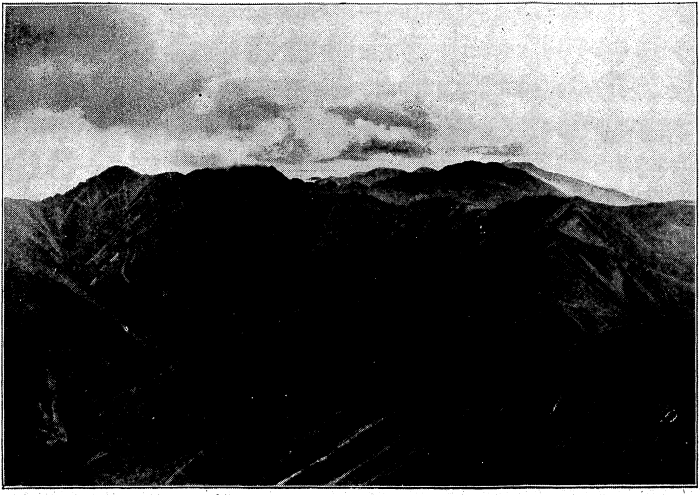 The light, which appeared to be high up on the ranges in the vicinity of the Three Kings, on the Mitre-Holdsworth ridge, was seen by Mr. J. H. Payton, of Mount Bruce, and Mr. J. Blake, of West Taratahi. Steps were at once taken to organise the dispatch of parties today to investigate the area. It is possible, however, that the light came from a searchers’ camp. Upon receipt of the information Mr. F. W. Vosseler, of the Tararua Tramping Club, who visited Masterton last night, sent a radio, message to searchers at the Mount Holdsworth Mountain House through station 2ZD (Masterton) informing them of the report. This message was received at the mountain hut, and the radio there was also in communication with Wellington. The Mount Holdsworth searchers advised later that a party was leaving immediately for the area indicated, and that a Masterton party was taking the area east of Mitre Peak to Mangatarera. The Masterton search committee made arrangements last night for the dispatch of three parties this morning to the locality where the light was reported—Mr. Wiley’s party to proceed via Mitre Flats and Barton’s track to Baldy, Mr. Blake and party to set but for the area around the Three Kings, and Mr. Shepherd’s party to work along from Mount Holdsworth. Mr. Ivan Jackson and a companion are already in the vicinity of Mitre Peak. Arrangements have also been made for an investigation by aeroplane first thing this morning. 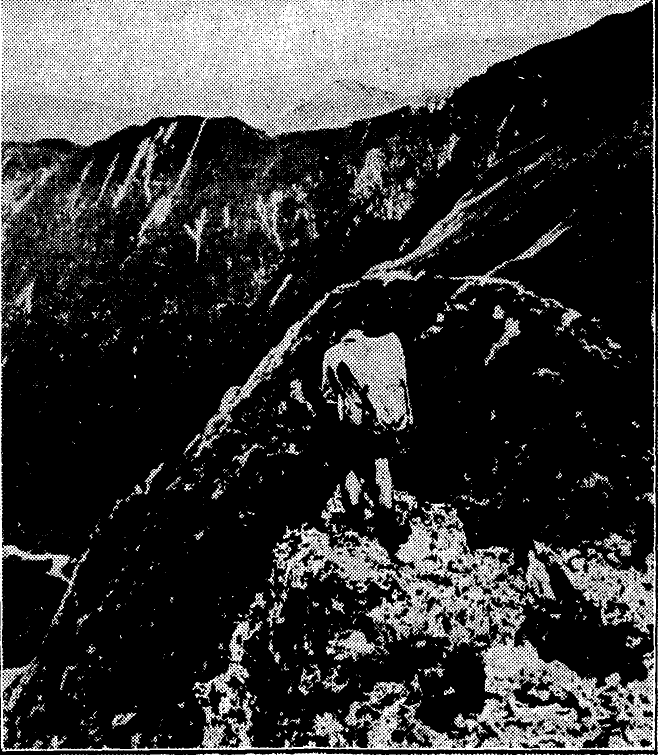 The location of the light was given as between Broken Axe and Baldy, south of Mitre Peak, about the place where Mr. Payton thought he saw smoke at noon on Thursday, and a likely spot in which the missing party could be located. Last night the light appeared to be shown from a position ,on the ridge above the forest line. Reports that lights and smoke had been seen in the Baldy and Broken Axe area on the Tararuas are discounted by the arrival at Te Matawai last night of the first party, comprising four men, to get through from Mitre flats, on the Wairarapa side. Messrs. Knight and Free state that they thoroughly searched Mitre Creek and Baldy south of the King Table Ridge and saw no sign of the missing trampers. Two Masterton parties are still operating there. One Levin party is in the Waiohine-iti valley. An aeroplane search this morning failed to find any traces of the missing trampers in the area where the light was seen. Conditions for observation were fairly good. Mr. F. W. Vosseler, who returned today from the Wairarapa, informed a “’Post” reporter that the fact that smoke and fire had been seen was most encouraging. Two men had seen the smoke about noon on Thursday—Messrs. Paton and C. Morris—and two also had seen the fire on the top of the ranges. The fact that it had been worked out from these different sources that the spots were in the same locality made the position rather hopeful. In addition to the three Wairarapa parties that are out, Mr. Vosseler added, there was one party from the Tararua Tramping Club at Mt. Holdsworth which intended to go direct to the area where fire and smoke were seen. The conditions in the ranges at present were, he said, only fair. He stated that he considered it imperative for all members of parties which were leaving for the ranges to take Meta fuel with them to assist in lighting fires. One party left Wellington this morning to work into the Waiohine locality, and there are now between 40 and 50 members of the Tararua Tramping Club on the ranges, in addition to about 30 men from the Wairarapa and parties from Levin and Palmerston. Mr. W. G. Ashbridge, officer commanding the Radio Emergency Corps, has returned to Wellington from the station at Mt. Holdsworth mountain hut, and is at present operating the base station at Tinakori Road. Mr. McNeill has taken charge of the Mt. Holdsworth station. Additional funds contributed to assist in the search are acknowledged.today. It was reported yesterday afternoon that a smoke signal had been seen in the direction of Mount Alpha, and in consequence a party consisting of Messrs. W. H. Wilson (leader), H. McNaught, D. A. Carty, and E. Mintoft, left the Lower Hutt Post Office at 7.45 p.m., and were taken as far as the Pakuratahi Bridge at the foot of the Rimutaka Hill, where they branched off on their tramp to Alpha at 9 p.m. They expected to reach Alpha at 2 a.m. today, and after a short rest would in the early morning explore the neighbourhood, making in the direction of Cone, which they expected to’ reach on Sunday night. If they found no traces they would probably make for Mount Holdsworth, which they would reach on Tuesday. They were undecided as to whether they would explore Waiohine-iti. Mr. Wilson, who is an experienced tramper, thinks it quite possible that the party, or more likely some of the party, worked down towards Hector. More in part 2 and part 3. This entry was posted in article and tagged article, change of plans, history, newspaper clippings, search and rescue, snow, tararua tramping club, tararuas, tramping. Bookmark the permalink. I just love that Map!!! Could you imagine trying to tramp with that now?? Let alone navigate / run a SaR op? Thanks. I think that’s probably just a park map that The Evening Post managed to get from the Lands & Survey Department that they decided would be good for publishing. I’m pretty sure the trampers’ had better maps, as did the searchers. There would still have been much less detail than what we get today, though.